Know ahead of time what you are willing to do and not willing to do with your home. Do you know your home has an old HVAC or older roof that may become an issue for buyers? If you priced the home right in the beginning then reminding the buyer of the price of the home as compared to other homes in the same neighborhood with newer HVAC or roof lets the buyer know the home they are wanting to buy is priced accordingly because of some of the older equipment it may have. If you did not price your home correctly and are hoping not to have to deal with buyer requests to address old, in need of update aspects of the house then you will run into an impasse at the negotiating table. Keep in mind that by pricing higher with the intent of coming down in negotiations, you could let a lot of buyers slip away who would never place an offer due to the issues and the higher price. The better idea is to price correctly knowing what issues the home has and getting an offer sooner rather than never. Keeping your emotions out of the negotiating room ensures nothing will blindside you or shock you and take you off of your game plan. Anytime selling a home is involved expect the unexpected and don’t let that interfere with your end goal. Buyers may lowball you, they may ask you to leave your valuable antique curio cabinet with the home, and may can get a request out of left field. Regardless of the request, knowing what your plan is will keep you on track. If the curio cabinet stays with you then it is just a matter of you stating that you will not offer it as part of the sale. In the event you happen to get a lowball offer you should not get offended by the offer and instead respond with a reasonable counter offer. 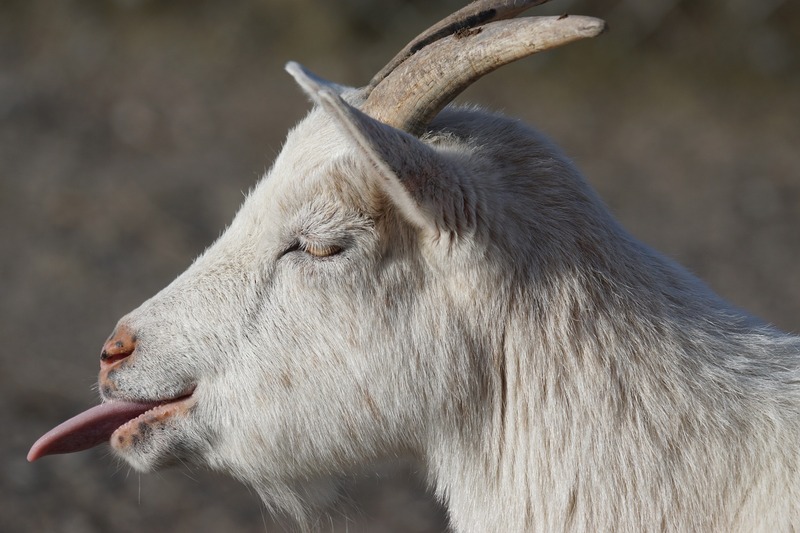 When you are not letting your emotions get in the way of the negotiation process you are in a better position to think clearly and make a decision that will help close the deal. The best advantage you can bring with you to the negotiating table is a professional real estate agent who is trained to negotiate on your behalf and will come into the process without any emotions clouding their judgment. An experienced real estate agent will negotiate on your behalf with your best interests in mind. By keeping yourself one step removed from the negotiation process and letting your agent handle the negotiations there is less emotional involvement for you and the competitive one side must win attitude also will be reduced. The end result is negotiations that help both the buyers and the sellers achieve their goals. Real estate agents are not the only professionals you should be working with. 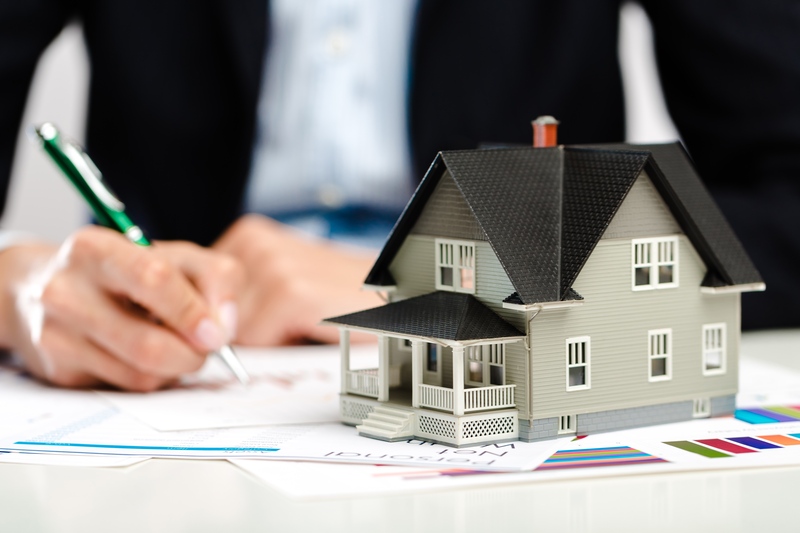 If the sale of your home involves tax implications, selling your home while going through a divorce, or selling an inherited home then you need to consult with additional professionals during the process. Professionals like your CPA to guide you through the tax matters, your attorney to help you navigate the divorce process or to navigate probate while selling a home. These professionals are there to help you by making sure you are fully aware of the requirements that need to be met for your particular situation. This tip follows along with tip number 1 for sellers in that it is take pricing out of the negotiation equation. If a home is priced properly then you as a buyer do not have to fight that battle. From the sellers perspective sticking to their overpriced figure is easy for them since they get to still stay in the home if it does not sell. You as the buyer may not have that luxury if you are in between homes or moving to a new area. So the best bet is to avoid homes that are overpriced unless you absolutely love a particular home. Consult with your real estate agent as to the home’s pricing and whether it is realistic compared to other similar homes in the neighborhood. Homeowners sometimes overprice homes by adding “value” based on their use and emotional attachment to it. No amount of negotiation will convince them the price is too high and will only leave you dejected if you decide to pursue it. If you absolutely must have that home then you may want to make an offer you and your agent consider reasonable. If the offer is rejected then taking a wait and see approach might be the best course of action. Often overpriced homes will sit on the market with no offers after which dejected sellers may start making more drastic price cuts. If you are worried about that home slipping away during those price cuts then have your real estate agent communicate to the seller’s agent that if any offers do come through to let you know as you may be willing to beat the offer price for the home. Buying a home is an emotional process and especially becomes more emotional once a buyer walks into the door of a new home and falls in love with it. There is nothing wrong with “loving” the way a house looks or the unique features it has. The problem with emotions is when it is time to negotiate over purchasing the home. If you are willing to throw your budget out the window to buy the home at all costs then it may not matter this tip may not matter. The problem down the line may be that you went all out to buy the home and now are in a house poor situation. In a house poor situation you find yourself unable to keep up with paying your mortgage, properly maintaining your home and paying for your personal expenses. As a result your home quality and likely your personal credit will suffer. Not only might you get stuck with a home that cannot be sold for a price higher than you paid due to deferred maintenance but your credit situation might prevent you from buying a more affordable home later on. So keep your emotions out of the home buying process and negotiate your home purchase keeping in mind your budget. While a home may look terrific now when it is all staged, later on when you find you over spent because you did not keep emotions in check you may regret the decision. By prioritizing your wants in a home you come knowing what you must have versus what would be nice to have. Want a first floor bedroom for elderly parents who live with you? That is a must have feature. A hot tub might be a nice to have but not always necessary to have. By knowing what you really need you can be better prepared to negotiate on the home that does have the features you need. 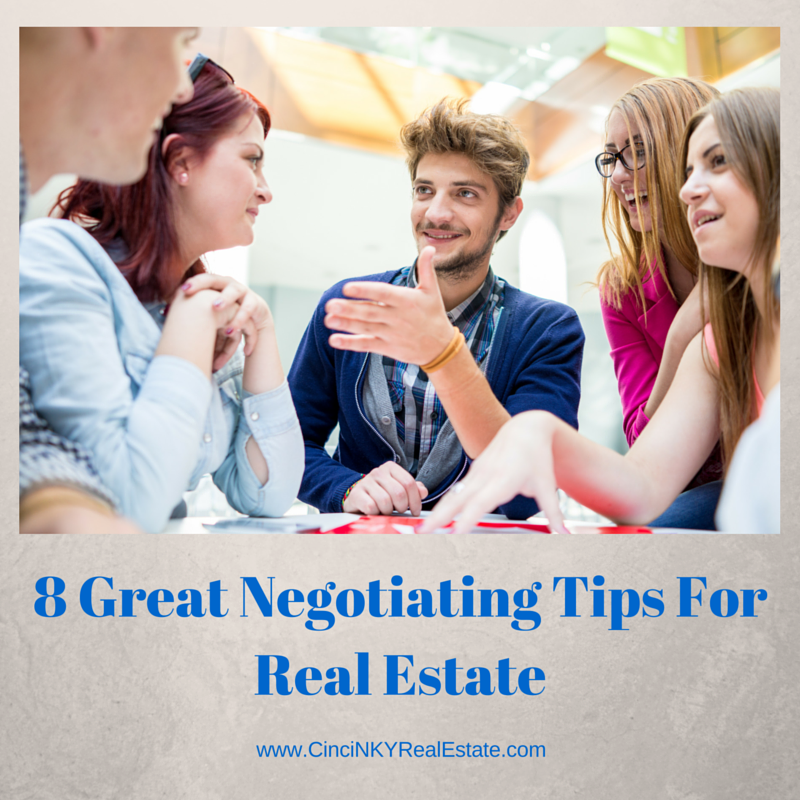 Negotiating is a give and take proposition in real estate and when you know a home has a particular feature you need you may be able to give something to the seller in return for getting that home. For example if the seller needs extra time to find another place to move to before they can close on the house then offering that extra time puts you in a better position to get that home. If the seller wants a little extra money on the offer price but still agrees to pay your closing costs which is helpful to you since you don’t have too much cash to put forward at closing then that type of negotiating works out in everyone’s interest and still meets your needs. Always be on the lookout for an opportunity to make everyone happy as that will make negotiations go much easier. While the tip to use a professional is listed last for both the seller and buyer tips that does not mean it is the least important. Having a professional real estate agent represent you in the home buying process means you have expert advice on how to work your way through the negotiation process due to the agent’s years of experience. At times where emotions can get the best of you having a professional in your corner lets you relax and know someone else has your best interests in mind and will guide you when you need it. Negotiating in real estate is a give and take process. Depending on the type of market you are in and the role you play in the process (buyer versus seller in buyer’s market versus seller’s market) your ability to get what you want will vary. The best way to view this process is not as a winner take all process but as both sides attempting to accomplish their goals. By helping the other side obtain their goals they may in turn help you accomplish your goals and everyone can win. About the author: The above article “8 Great Negotiating Tips For Real Estate” was provided by Paul Sian. Paul can be reached at paul.sian@herrealtors.com or by phone at 513-560-8002. With over 10+ years experience, if you’re thinking of selling or buying, I would love to share my marketing knowledge and expertise.